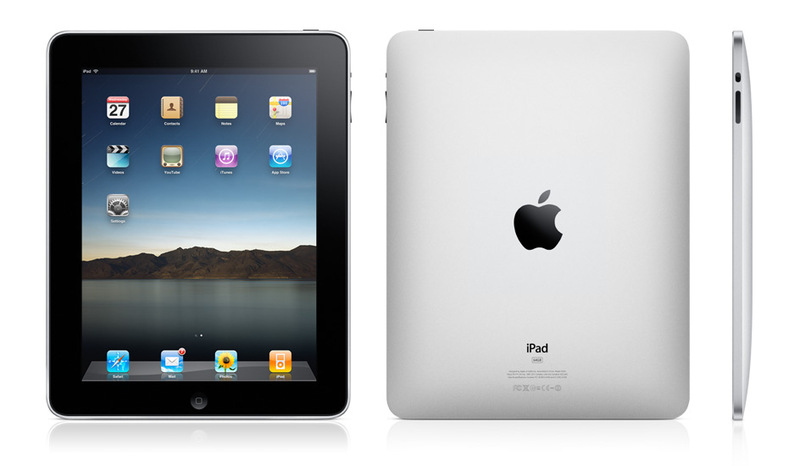 Next month the iPad will be unleashed on the world and I want one. First question, how can I justify the cost against a household with a fixed budget. Second, balancing the desire to reduce consumption and the need to stay current with technology. Third, the balance of ubiquitous computing and family harmony. Finally, the environmental cost of technology. Though I definitely don’t own a great deal of gadget technology compared to many others, it still feels like quite a bit. Specifically, I own a 2004 iPod Click Wheel, a 2008 iPhone 3G, a 2009 Flip HD, and a 2009 MacBook Pro. What does adding an iPad to the mix create? Each piece of technology comes with its own environmental impact in the production, ongoing use, and ultimate disposal. Aware that I am only one consumer, collectively we consume and waste a great deal. It seems that we often consume without thought or awareness and we easily succumb to desire through marketing and possibly an underlying unhappiness. My Buddhist practice asks me to be aware of my actions in body, speech, and mind. This action includes my consumption. I have taken the both Five Mindfulness Trainings and the Fourteen Mindfulness Trainings as my guides to living. These trainings represent the Buddhist vision for a global spirituality and ethic. They are a concrete expression of the Buddha’s teachings on the Four Noble Truths and the Noble Eightfold Path, the path of right understanding and true love, leading to healing, transformation, and happiness for ourselves and for the world. Cost. My first question above regarding cost is the least important and easily remedied. I make a decent living and just received a retirement refund from another institution in the amount of a new iPad. Check! Professionally. I work with technology. I teach technology. The impact of technology on my profession is significant, particularly if we consider the ongoing migration from print to electronic formats. It could even be that the library continues to shift dramatically in the next 20-years. Understanding and knowing technology enhances our profession’s ability to respond to these shifts and its impact should not be underestimated. Though I could easily digress into the mindfulness training on right livelihood, I will not muddy the water further. As a leader in my profession, I need to maintain currency and awareness. Check! Family Harmony. For me, there are two issues with buying the iPad as it relates to the home. First, adding another device to home environment already cluttered with technology and secondly, the potential to continue to degrade interpersonal relationships in the household. The iPhone already has developed a central role in my daily activities both at home and at work. Finding a balance to provide harmony has been challenging and I am concerned the iPad may make it even more difficult. That said, there is the potential to draw us together at times using the technology. This is a great unknown. It could be that it is simply banned from the house as the television has been for the last decade. This obstacle is one that needs further consideration and an easy solution is not apparent aside from simply not buying the iPad. No check for this one. Environment. From an environmental perspective, the iPad is designed with arsenic-free display glass, BFR-free, Mercury-free LCD display, PVC-free, and recyclable aluminium and glass enclosure. This is good. Nonetheless, no matter how environmentally sound a product is created, it is still another “thing” created and put into the universe. It will have an impact, particularly if millions of people purchase an iPad. This type of technology also has a certain level of planned obsolescence. For example, speculation already exists that the next version will include video. Why not now? Will I need to buy another iPad when v.2 is released? There is no way to truly wiggle around the environmental cost of the iPad. However, keeping technology operating and long lasting is one method to lessen the impact. Obviously it can’t be like a vehicle (I drive a 25-year old vehicle), but it could be designed to last 5-8 years. Not very long. No check for this one. Ultimately, this is an exercise in deep looking; exactly what the Mindfulness Trainings and my Teacher asks us to do. I will continue to ponder, consider, argue, reconcile, meditate, and discuss until the moment a decision is made. What are you planning in regards to the iPad? How do you make decisions about technology consumption? Note: The title of the blog post is a play on a new book by Jaron Lanier called “You Are Not a Gadget: A Manifesto” – thanks Jaron! Wonderful Kenley! Thanks for you thoughtful consideration. It is often tough to balance. I want an ipad. However, since I am a PC user (at home and at work) I can't justify purchasing one. Bummer! I love how you like to stir things up Mitchell. Thanks! And, as for Gandhi, based on my studies I'm not sure if he actually put this wisdom into practice himself. It could be your first foray into Macdom; well worth it. a very similar issue came up for me recently. i have been taking african drumming classes with a nigerian master drummer and priest. i borrowed a friend's small drum to practice on. after a while, i wanted to purchase my own drum and went through a lot of similar questions that you mention above and reached many similar conclusions. yesterday, after researching, getting advice from my teacher and looking at a lot of drums, i made my purchase. i am very happy and spent a lot of time yesterday playing it. it was very enjoyable. as someone with little musical background, it is a great joy to be learning to play an instrument. i hope i stick with it. so what mitchell posted below seems to ring true…..wholesome enjoyment involving material items that nourish our souls seem as though they would support us in our practice. DOn't buy the ipad its a desire not a need.. Part of apple's marketting technique.. its caters to make u feel desired to it.. not because you need it. trust me life will still go on without it… Its the latest trend not the latest technology. DOn’t buy the ipad its a desire not a need.. Part of apple’s marketting technique.. its caters to make u feel desired to it.. not because you need it. trust me life will still go on without it… Its the latest trend not the latest technology.